Skydive Auckland offers the highest skydive in NZ's North Island at 16,500ft. 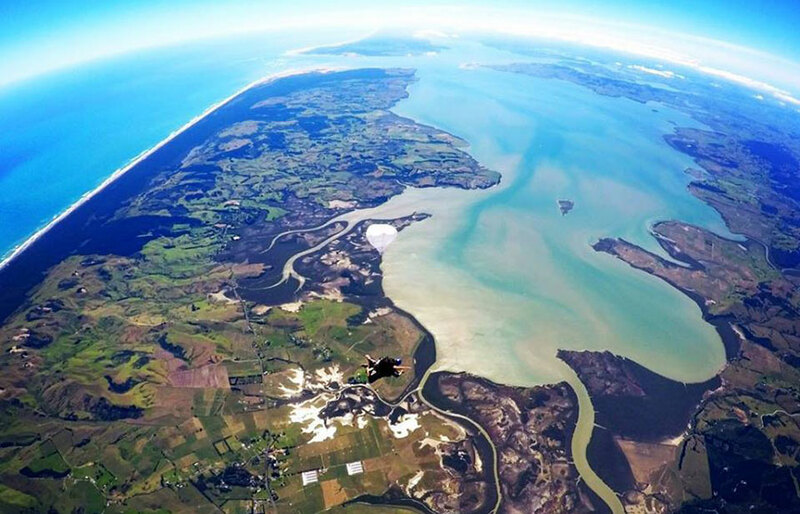 Freefall for 75 seconds above Auckland's stunning coastal landscape and see views of both the east and west coasts of NZ, Waiheke Island and Mt Ruapehu. Skydive Auckland is NZ's largest sport skydiving dropzone and is home to the New Zealand Skydiving School offering the only Diploma in Commercial Skydiving in the world. Experienced jumpers must be a valid member of NZPIA. Open every day (weather dependant) except December 25th, 26th and January 1st, 2nd.